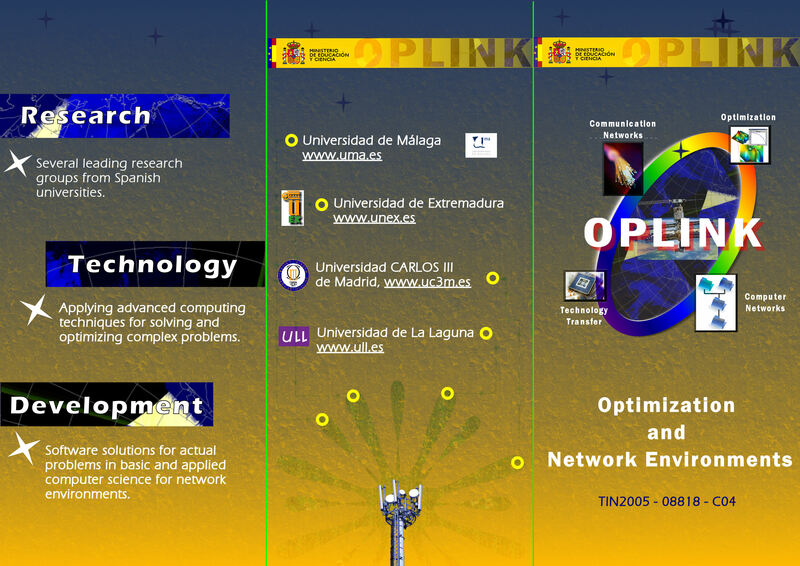 Publications of The TRACER Project [2002/2005]. 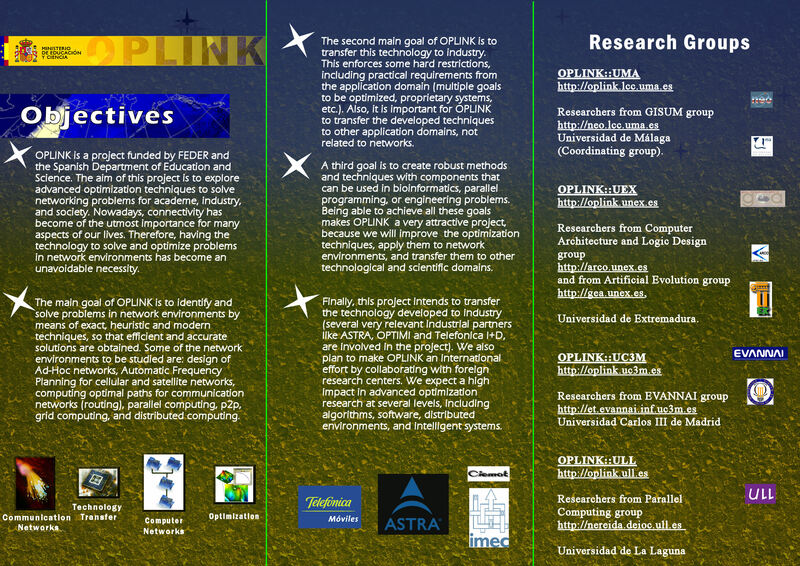 This project proposal aims at profiting from the present wealth of advanced knowledge in combinatorial optimization to solve problems of high impact in academics, industry, and society. In a world of high connectivity, networks and communications are worthy fields to make research in, and this is why we target them in this proposal. Our main goal is indeed to detect what are the actual hard problems in the core of different net centric applications, and since most times they are of a combinatorial nature, we propose to use exact, heuristic and in general whatever new technique that may lead to solve them in an efficient and accurate way. By net centric we mean here mobile/ad-hoc network design, mobile and satellite channel/frequency allocation, routing, grid technologies, parallel computing, and related applications. We go one step further and also propose a second goal with a transfer to the industry of the resulting	techniques and software, what will require dealing with very hard restrictions, fast response, and customer demands. As a third important goal we expect to create robust methods whose components are also useful in other fields like bioinformatics, parallel programming, and well known hard optimization fields in engineering. This will mean a manifold advantage of the project, since optimization, net centric applications and other important problems will receive a combined attention. 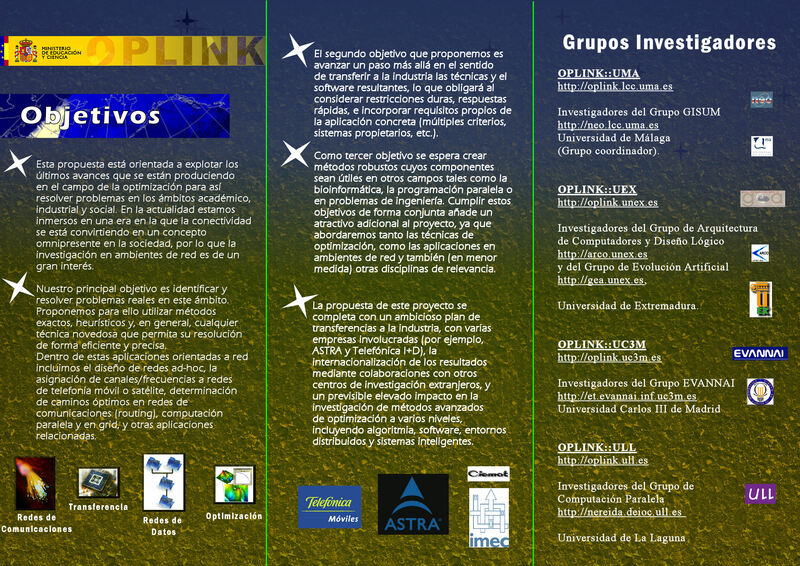 We complete this project proposal with an ambitious plan of transferences (with several companies involved as for example ASTRA and Telefónica I+D), internationalization of results through research collaborations, and a foreseeable deep impact in the research with advanced methods of optimization in the crossroad of intelligent systems, distributed environments, software, and algorithmics. 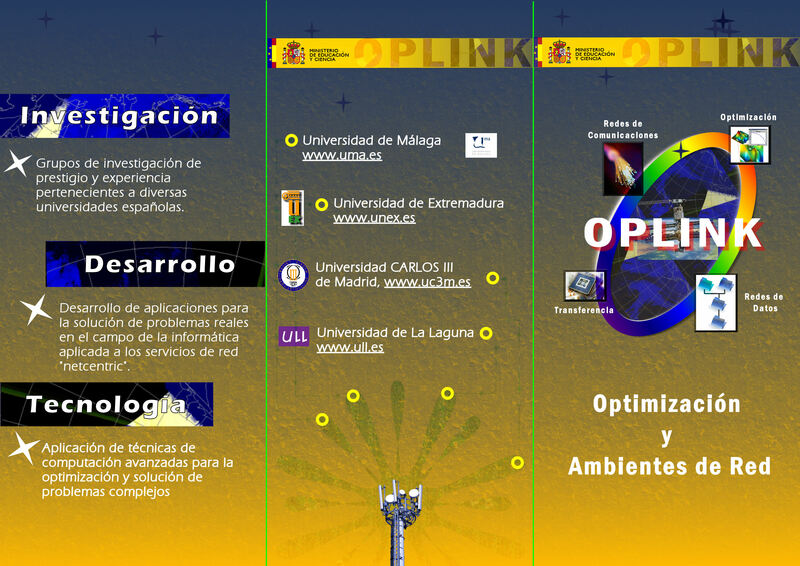 Several leading research groups from spanish universities. Applyging advanced computing techniques for solving and optimizing complex problems. Software solutions for actual problems in basic and applied computer science for network environments.